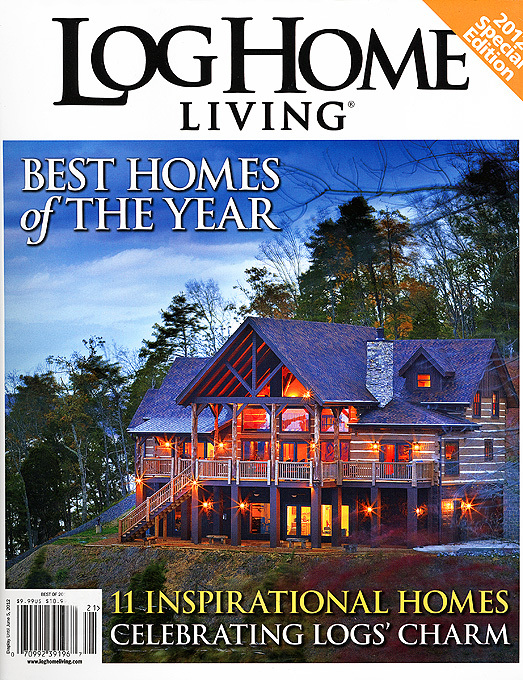 Recent project featured on the cover of Log Home Living’s “Best Homes of the Year” issue. We just love the layout Art Director Edie Fleshood Mann designed for the home in the magazine! 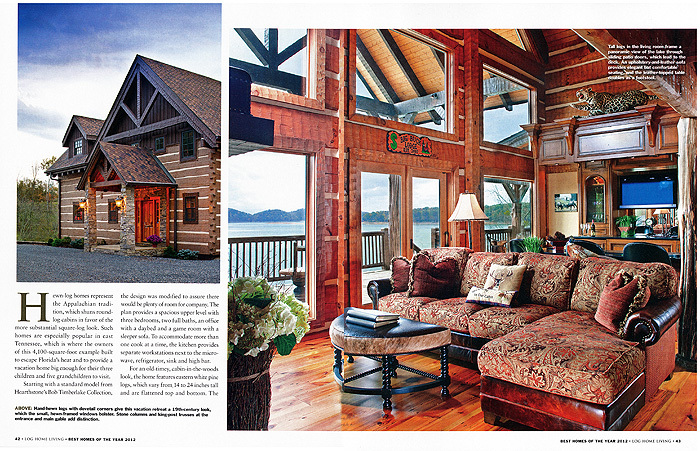 The project was originally shot for my long time client Hearthstone Log Homes. 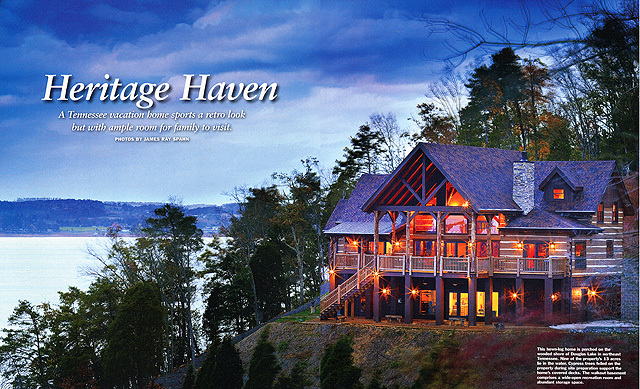 The home was located outside Dandridge, Tennessee and photographed last Fall. This project is just another example of us helping our clients get published with great exposure in a national publication by using our long time relationships with the magazine world. “It’s all who you know” as the saying goes….